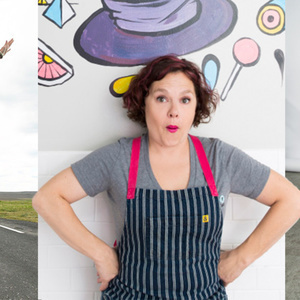 We check in with Rebecca Masson, one of Houston’s most celebrated pastry chefs and founder of Fluff Bake Bar, to hear how she’s doing and what we can do to help her city. Also stopping by is Katie Quinn, the YouTube personality known as QKatie. and author of the Short Stack Editions cookbook on avocados. Ashley Stanley will join us as well. She’s the founder of Lovin’ Spoonfuls, an organization that has rescued more than 7 million pounds of food and distributed it to Boston-area homeless shelters, food pantries, and soup kitchens.